Another morning of data, another reminder that our current economic woes boil down to one word: jobs. 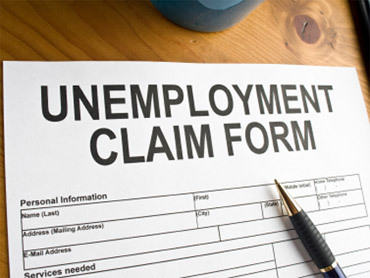 This morning, the Labor Department reported that in the week ending July 24th, weekly jobless claims fell by 11,000 to a seasonally adjusted 457,000, from the previous week's revised figure of 468,000. The four-week moving average was 452,500, a decrease of 4,500 from the previous week's revised average of 457,000. While market participants are eager to latch on to any indication of good news on the labor front (US stocks are trading higher this morning, but mostly due to earnings, I think), the sad truth is that the 4-week average has been stuck at a stubbornly high level for the past eight months and the 4-week average is high relative to historic norms. In other words, it's what you already know: the jobs market still stinks. A friend recently asked me, "Why is this 'the jobless recovery?'" I think the answer is pretty clear. Imagine you are a business-owner who actually survived the Great Recession. You may have had to reduce your income or even lay off workers during the downturn. Now as the economy is finally growing, you are finding that (a) your income is inching back up, though not at the level it was pre-recession and/or (b) your company is running just fine with fewer employees. I ask you, Mr./Ms. Employer, what would get you to hire more people? The answer is obvious: necessity. The only reason to add to the payrolls is that you need more people to provide the goods and services that your customers want. Based on most of the current data, it doesn't seem like a surge in demand is occurring anywhere in the economy. Without more demand, it's doubtful that any employer would assume the risk of hiring additional staff, only to potentially have to start lay-offs again if business doesn't materialize. But in both decades, the last two years may have skewed the results. In the nineties, the bubble was peaking and in the 2000's, millions of jobs were lost in the Great Recession. What happens when we chop off the last two years in each decade? Add to this list the fact that due to the housing crash, many of today's would-be labor participants are now trapped in impossible-to-sell homes and can't move to markets where jobs exist and you can see why the outlook on jobs is pretty dim. Here's the takeaway: jobs are still key, but the root may not be just "the jobless recovery," rather there are some bigger structural changes in the US labor market taking place. Policymakers would be wise to examine these trends before adhering to the Band-Aid approach to short-term job creation.